Mark Tatge�s new book teaches students how to analyze, interpret and understand business and economics journalism. Scripps Howard Visiting Professional Mark Tatge will introduce his new textbook on business and economic reporting Tuesday, May 18, in Scripps 111 at 5 p.m. The Radio Television Digital News Association is co-sponsoring the event with the OU SPJ student chapter. Published on March 18, �The New York Times Reader: Business and Economics� is part of a series of textbooks for journalism students and beginning reporters interested in enhancing reporting skills regarding a variety of subjects. CQ Press, a division of SAGE Publications based in Washington, D.C., organized the series and partnered with The New York Times to republish exemplary stories produced by Times reporters. Tatge, who teaches journalism courses on business and economic reporting, said he developed the idea of incorporating the Times throughout the series so that readers could understand and apply the necessary aspects of the subject through analyzing examples. The book is divided into two sections, business and economics, and contains 10 chapters devoted to explaining various topics, providing examples, including interviews with Times reporters and featuring the how-to steps needed to write a good story. A common theme carried throughout the book is framing, which Tatge also stresses in his classes. The problem many young journalists face, Tatge said, is jumping into a topic without having an understanding of it, which results in trying to learn a significant amount of information in a short time. However, Tatge said he is noticing trends that the more students learn about business and economic reporting, the more they enjoy it and follow it long term. Tatge started his education focusing on sociology and abnormal psychology but acquired an interest in investigative reporting after frequently encountering business issues. He previously worked with Forbes Magazine, The Wall Street Journal, The Plain Dealer, and The Denver Post. 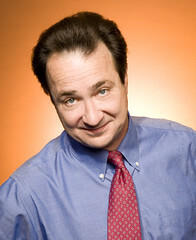 He is a recurring business and economic commentator on numerous news programs and is currently working toward his MBA.